Empowering new WordPress users to learn “how to fish” for themselves is not a simple task. There are challenges to overcome, as explained in The Challenges Of Educating, Teaching & Training New WordPress Users and an inherent conflict of interest as explained in The WordPress Paradox. One of the main challenges with training new clients to use WordPress is that most of them will tend to be technically declined. These are users who want to be in control of their digital presence and get results from their websites but are averse to learning technical stuff like editing code, web languages, etc. This requires a well thought out WordPress training system that will teach and empower new WordPress users to get the results they want without overwhelming them with technical information. Teach your clients how to fish and get loyal clients for life! If you need to train clients how to use WordPress, the section below will take you through the WordPress training system and 1-on-1 training script we have developed and used successfully for years to train and empower new WordPress users. The training can be performed as a ‘1-on-1’ or group training session and delivered onsite, offsite, over Skype, etc. WordPress User Guide For Beginners – Download PDF guide at the end of this tutorial and use it as your client training notes & ‘Quick-Start’ guide. FREE WordPress Tutorials Chrome Extension – Install the extension on your client’s browser. This will allow them to access all of the tutorials on WPCompendium.org from their browser toolbar menu with just one click. WPTrainMe WordPress Tutorials Plugin (optional) – Install the plugin to allow clients to access tutorials & videos inside their WP Dashboard. The plugin should be installed when configuring sites for your clients. Free Content Creation Course – We recommend subscribing your clients to our comprehensive (120-part) content creation and content marketing email training course. 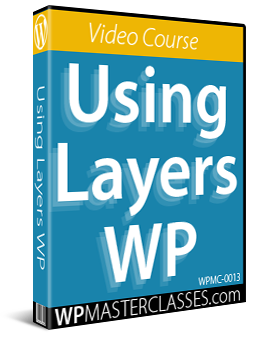 For more information on the above, see the “WordPress Training Resources” section at the end of this tutorial. 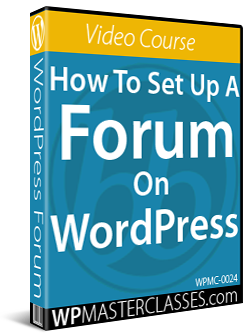 We’ll use WPCompendium.org’s step-by-step WordPress tutorials to deliver an effective training session without overwhelming the user. After their initial training session, users can refer to the additional training resources and go through the tutorials in their own time and at their own pace for a more detailed understanding on how to use all of the WordPress features covered in the training. The section below explains the mindset used when approaching the training session before the opening script. What kind of results do businesses want from their websites? More targeted visitors, more leads, more sales, more subscribers, etc. Overview of basic features of WordPress – posts vs pages, menus, widgets, plugins, themes, etc. How to use categories, tags, excerpts, etc. How to manage users, edit comments, etc. Comparing what clients want vs. the training structure outlined above, how are these two connected? Clients want to learn how to get the benefits of using WordPress (i.e. how to “catch more fish”) but most end up spending an hour or two learning all about the features of WordPress instead (i.e. how the fishing rod works). The first thing to do in our training session, then, is make sure that users understand the benefits of using WordPress and how WordPress can help them get the results they want. If training a new client, ask them to open their web browser and give them a tour and overview of their new website before commencing the training session. 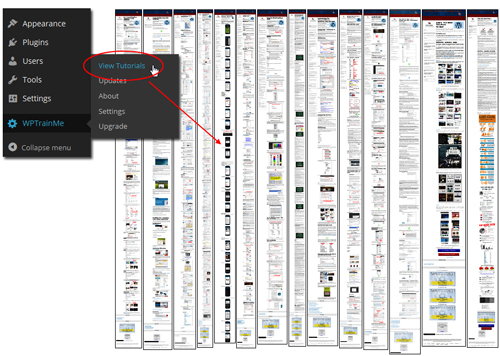 When you are ready to begin, open WPCompendium.org’s WordPress Tutorial Index page in a separate browser tab. Where to go to learn more about the features in order to learn how to get more benefits. 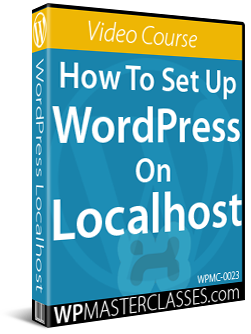 For additional information and help with this area, see our Introduction To WordPress tutorials. Feel free to modify the script below to suit your needs. Before I show you how to log in and use your new website, let me tell you a little bit about the technology being used to run your website. Once you understand what it can do, how it works and how it can benefit you, then you will see how everything we cover today and everything you learn after this training session is designed to help you get the results you want. Now, as I mentioned earlier, the technology used to run your website is called WordPress. WordPress is used by millions of websites around the world to run all kinds of websites. WordPress is not just great for building websites, it’s also great for managing your web content … you can do just about everything you need to use, run, and grow your website without touching code or learning technical stuff. I’ve added links to all of these sections in your training notes. The great thing about using WordPress is that you can start with a really simple site and add new things only when you need to, like e-commerce, membership levels, newsletters, etc. You can do this using things like apps called ‘plugins‘ … you can change the look and feel of your site anytime you want using web design templates called ‘themes‘ … you can completely rearrange the layout of your site in your theme settings and by using things called ‘widgets‘ … and you can easily add pretty much any type of content you like to your site … not just text, but images, videos, downloadable files, etc. In fact, you can do most things in WordPress just by clicking buttons, selecting different options, and using drag and drop. You can also automate a lot of stuff. Now … I’m not going to overwhelm you with a lot of information, so today we’re going to keep things really simple and just cover some of the basics you need to know to add your content and start getting results. All you need to remember about WordPress is that it’s a very powerful and easy to use tool, and that you can do and build pretty much anything you can imagine with it. Today’s training is about 1 -1.5 hrs long and at the end of the session I’m going to leave you with a training guide with links to all of the tutorials you need to learn how to use your website. You can go through the tutorials in your own time and at your own pace … they’ll show you exactly what to do step-by-step. I’ve also installed a plugin with links to written and video tutorials inside your site, so if you ever have any questions about using any feature or section of your website, all the help and tutorials you need are just a couple of clicks away. Before we leave today, I’ll also install a little menu button on your web browser that you can click anytime you need help with WordPress and it will bring up the tutorial site in your browser. I recommend that you (or your staff) go through as many tutorials as you can and learn to do as much as you can yourself. This will save you thousands of dollars and you won’t have to wait or depend on other people when you need to get things done on your website. If you find that you’re too busy or don’t want to do things yourself and you would rather have us manage things for you instead, then we can discuss this later. Just one more thing before we get started … we have set up your site to automatically drive traffic whenever you publish new content. All you need to do is publish content, which I’ll show you how to do today, and WordPress will then automatically index your pages in Google and post links to your content on social sites like Facebook, Twitter, LinkedIn and a bunch of other sites. If you get in the habit of posting great content to your site on a regular basis, say once or twice a week, your site will get more exposure online, your search engine rankings will go up, more people will find you and come visit your site and you’ll start getting better results online. Your training guide has a link to a course on how to never run out of great content ideas worth hundreds of dollars that you can sign up for FREE. So … today I’m going to show you how to log into your administration area, give you a quick tour of admin dashboard, and show you how to create and publish a new page with text, images, and videos. We’ll then go through some of the tutorials so you can learn how to use them when you need help, and then we’ll finish with a Q & A in case you have any questions. The next time we get together, we’ll look at how you’re going, see if you need any help, and discuss different ways and strategies to help you get better results. Ok, then, let’s get started … are you ready? Leads with benefits, not features. Talks about the results users are going to get with their new website. Assures users that they have made the right decision choosing your services and trusting your expertise. Assures users that you are committed to empowering them and helping them succeed online. Assures users that the training session will not focus on technical stuff and that they can get results without having technical skills or depending on technical people. 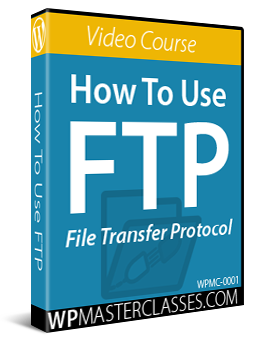 Assures user that the training will cover everything they need to know without overwhelming or confusing them, because everything they need to know is documented in detailed step-by-step tutorials they can refer to anytime they need help. Reminds users that you want to help them save money by giving them a choice – they can easily learn how to use and run their own websites, or they can outsource some of these areas and responsibilities to you. Assures users that you are truly committed to building a long-term relationship with them, that you are available to support, assist, and advise them, and that you will champion their success. As stated earlier, there is no need to overwhelm clients with too much information, as you will be mostly referring them to step-by-step tutorials that cover everything they need to know about WordPress in great detail. Below are some useful tips for presenting this section of the training. You should have provided your client with details like the login URL, username and password for their site. If you need help with this section, refer to this tutorial. If you plan to install the WPTrainMe plugin for your clients, make sure to show them where to access the WordPress tutorials and videos. Depending on how you choose to structure this section, you may want to explain the difference between WordPress Pages vs WordPress Posts. If you need help with this section, see tutorials related to creating and editing posts in WordPress in the How To Use WordPress tutorials section. Clients should bring content items they would like to add to their site to the training. This includes articles in .doc or text-format, images, photos, etc. This makes their learning more effective, as they will be working with their own content. If you need help, see our initial content checklist. Show clients how to use the WordPress Visual Editor, basic HTML tags, how to add hyperlinks to text, how to add images, videos, etc. to their content. If you need help with this section, see tutorials related to adding and using content in WordPress in the How To Use WordPress tutorials section. Depending you how you structure this section, you may want to cover publishing features like scheduling posts, assigning post categories, adding post tags, adding post excerpts, optimizing posts for SEO, making posts sticky, the WordPress quick edit feature, using the WordPress Table Of Posts, etc. If you need help with this section, see tutorials related to creating, editing, and deleting WordPress posts and pages, adding and editing media, etc. in the How To Use WordPress tutorials section. New WordPress users need to learn not just how to add content to WordPress, but how to market their business effectively using content. We recommend encouraging new WordPress users to subscribe to our FREE Content Creation email training course. Depending on the purpose of your training and your client’s needs, there are so many other areas and features of WordPress you may want to cover or discuss, like installing plugins, changing themes, using widgets, customizing menus, etc. 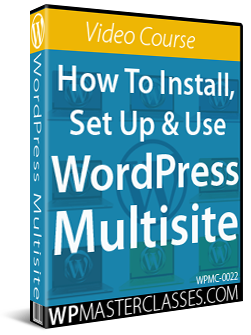 If your clients have questions about how their site has been installed or configured, you can refer them to the WordPress Installation and WordPress Configuration tutorial modules. Once again, we recommend not overloading users with information, but simply showing them how to access the tutorials that will explain everything they need to know in detail. You can structure this part of the training session to suit your own needs. The difference between the training system presented here and other training methods is that the focus is on giving new WordPress users context, not content. As we explain in great detail in The Challenges Of Educating, Teaching & Training New WordPress Users, WordPress is easy to use but complex to explain. New WordPress users can become quickly overwhelmed with content (i.e. information overload), especially if you start trying to explain what all of the sections, features, functions, buttons, settings, and options they see once they have logged into their WordPress dashboard do and how to use these. Instead, our approach focuses on ’empowering’ users with the right context to help them learn “how to fish” for themselves. Showing users how to access and use the tutorials when they need help or have questions not only teaches them how to find the answers by themselves, it also leverages your resources, reduces support costs, and frees up your time allowing you to focus on more profitable and productive activities (like finding new clients). After showing users how to navigate inside the WordPress dashboard and how to create, edit and publish a post, the next step is to show them how to get help and additional support. “If you have any questions or need help with any aspect of using, managing, or growing your website, I recommend going to the tutorials first and if you can’t find the answers there, then just contact or email us”. Install the FREE WordPress Tutorials Chrome Browser Extension on your client’s browser. This will allow them to access all of the tutorials from their browser toolbar menu with just one click. Ask users to subscribe to our FREE Content Creation email training course to learn how to plan an effective content marketing strategy and create quality content that will attract and engage more visitors on their site. Empowering new WordPress users to be in control of their own digital presence actually makes it easier to upsell them additional services like ongoing support and maintenance. Save Money – If your clients want to save money doing everything themselves, they can. All they need to do is follow the tutorials. Save Time – Once your clients start going through the detailed tutorials and see how much information they have to learn in order to get things done, they will most likely want to consider using your help and outsourcing your services. When you put your client’s needs and interests first and give them the choice of saving money by showing them that they can learn how to do things themselves or saving time using your services, you build enormous trust and loyalty with clients, resulting in‘win-win’ outcomes and clients for life. At the end of your client training session, we recommend spending 10 -15 minutes answering questions and then scheduling the next follow-up meeting. The purpose of running a 10-15 minute Q & A session after the training is not only to help answer your client’s questions, but to help identify their concerns and note down any opportunities to provide additional services in the future. If you haven’t already done this in the main training section, open up the WordPress Tutorials Index or the Site Map page and click on a few tutorial sections or individual tutorial links. Once again, it’s important to keep in mind that there is no need to overwhelm clients with information. Just shown them how to access the hundreds of detailed step-by-step tutorials we have created (and are continually adding to), as these will help them learn everything they need to know and empower them to get better results from their website. Great service providers follow up with clients on a regular basis. The purpose of scheduling a follow-up meeting is to build an ongoing relationship that will allow you to “touch base” with your client on a regular basis (e.g. every 90 days) and see how your client is progressing with their site and if there are any opportunities to provide them with additional services such as site maintenance, additional plugins or customizations, site speed optimizations, improvements to security, digital marketing services, etc. “I hope you found this training session useful. We’ve covered a lot of information today! Obviously, there’s a lot more information to cover, and the more you learn about what WordPress can do, the more questions you’re going to have. Like I said at the beginning, my goal was not to fill your head with information overload, but to teach you how to get the results you want with your new site! That’s why I focused a lot more on showing you how to get answers from the tutorials than overwhelming you with details about what all of these buttons and features do. The last couple of things I’d like to do before we end today’s training session is to leave you with a reference guide that includes links to tutorials covering all of the things we talked about today and more, and to schedule another meeting in [30/60/90] days to touch base, see how you’re going with your site, review your results, and discuss your next step to success. [give clients training resources & schedule next meeting]. I appreciate any feedback you have on how you think today’s training session went. I wish you great success and I’ll be in touch with you again in [30/60/90] days for a [live 1-on-1, phone, skype, etc …] meeting to see how you are doing. In the meantime, if you have any questions, or need help with anything at all, just let me know. This section contains information and links about the resources we recommend using to train new WordPress users. 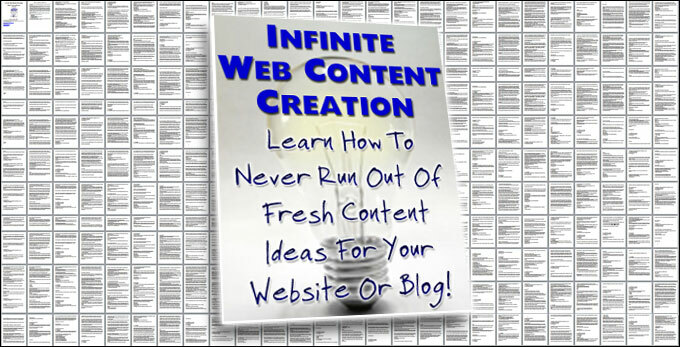 Infinite Web Content Creation – Free web content creation course! Infinite Web Content Creation is an in-depth 120-part FREE email training course we created to teach WordPress users how to create great content for their websites and blogs and how to market and promote their business online using content. Users will learn easy methods for generating endless new content ideas to keep their readers interested, engaged, and coming back to their site. In addition to providing lots of great content ideas, this course also shows users how to write high-quality content, how to develop an effective content plan and content marketing strategy, and how to outsource their content writing. The WPTrainMe plugin allows WordPress users to access WPCompendium.org’s detailed WordPress step-by-step tutorials and hundreds of WordPress video tutorials instantly from their own WordPress dashboard. Giving users too much information during the training session will overwhelm them, is completely unnecessary, and can even be counter-productive. Not giving users all the information they need to become empowered, however, will do them a great disservice. This is why we have spent years creating hundreds of detailed step-by-step WordPress tutorials and organizing these into a comprehensive and fully interlinked WordPress training system. It would take years to duplicate the work we have already done to plan, research, and document all of the information that has gone into these tutorials. You are more than welcome to use the training method described above and refer your clients to the tutorials on WPCompendium.org, or install the WPTrainMe plugin and let them access all of the written and video tutorials from their own dashboard. 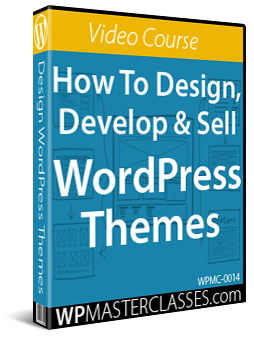 The training focuses on helping users understand the benefits of using WordPress to achieve the results they want. Users are not overwhelmed by detailed explanations of technical features. Referring clients to the tutorials provides an effective training system that you can easily duplicate with all new clients and users. Users are empowered to learn how to find answers for themselves, reducing your support costs. The time you invest into training new and existing clients is kept to an absolute minimum, allowing you to focus on other priorities and other important areas of your business. It allows you to provide users with a consistently high-quality level of training and helps you set and achieve training benchmarks. 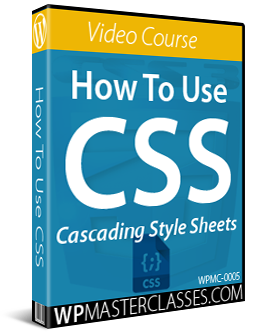 It allows you to cover more ground in 60-90 minutes than any other WordPress training method. It helps you build trust and loyalty with clients, keeps them engaged with your business, and, as they refer to the tutorials and discover or become aware of new possibilities, this helps you sell additional services. As explained in great detail in The WordPress Paradox, many web services providers try to retain clients by holding back on the information they share with clients in order to keep them dependent on using their services. At WPCompendium.org, we believe that by empowering users to learn and do as much as they can by themselves and providing them with the tools and information that will allow them to do this, you will gain their trust and loyalty, sell more services and build clients for life. We hope that you have found the information on how to structure an effective WordPress client training session useful, that it will help you train your clients to learn “how to fish” for themselves, and empower new WordPress users to take control of their digital presence and get better results online!